It is probably one of the most touristy destinations in or around Bombay, but as we discovered to our delight, Elephanta caves can be a very nice day outing. An early morning trip to Gateway of India on Saturday morning, followed by a nice ferry ride in the Mumbai Harbour, and finally the caves themselves (which seemed to be in much better condition than I remember them). Lunch at the delightful MTDC Chalukya restaurant near the caves themselves and then the ride back home. Part of the Elephanta caves popularity is due to the ferry ride from Gateway of India to the island itself. In February, when the sun is not too hot and the sea winds are still somewhat chilly, it was nice to experience the clean air and the ever-present breeze, sitting on the top deck of the launch. The ferry charges Rs. 130 for a to-and-fro ticket to the island and you do not have to come back by the same boat – so you can spend as much time as you want on the island. It costs Rs. 10 more to sit on the upper deck once you are on the ferry (which I am sure is not an MTDC charge). 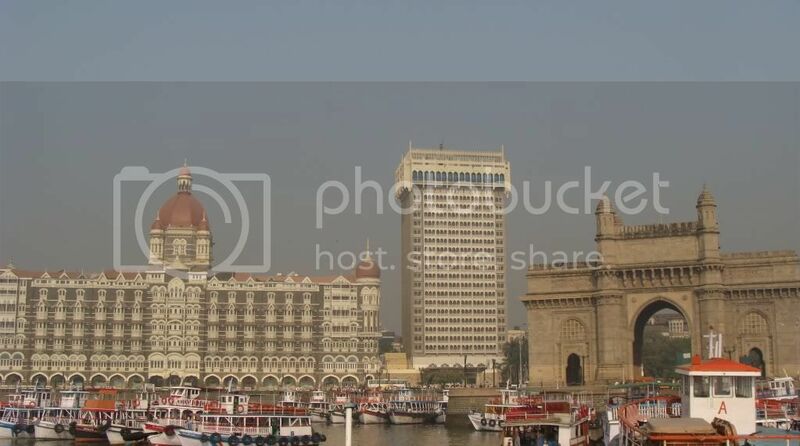 But you get a great view of the Taj Palace hotel and Gateway of India from there. Travel time is an hour on average. Tidal conditions can make some trips longer by 10-15 minutes. And while the breeze is fresh and delightful, the water is decidedly not. Dirty brown in color with small slicks of oil at places, it was a surprise to see fishermen laying nets in that water – what on earth are they hoping to catch ? 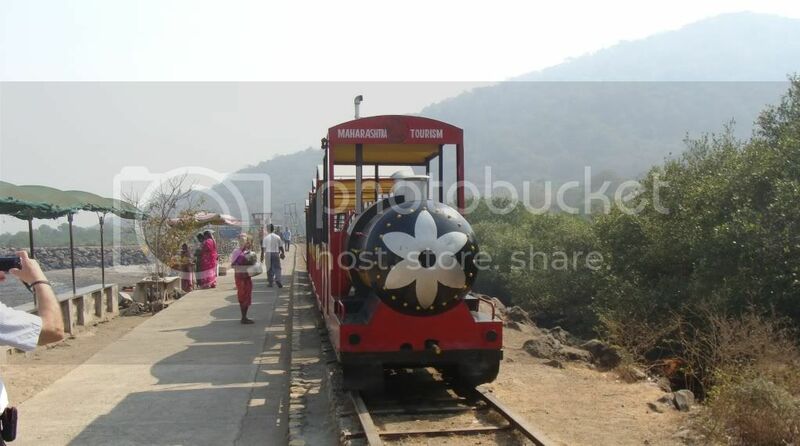 Nevertheless, once you reach Elephanta island, you are greeted at the pier with a honest-to-goodness red toy train with a diesel engine on both ends. The pier has been made needlessly long, necessitating the toy train. Thankfully the train tickets cost just Rs 10 for to-and-fro journey and saves you a good 1-1.5 km of walking. Given you have to climb for the next 30 min, you end up feeling good about saving those 1.5 km. Also, the toy train has the endearing clickety-clack of trains which puts you in a good mood. After the 30 min climb (at a leisurely pace, can be done in lesser time), you reach the caves. The entry fee for Indians is Rs 10 (and Rs 250 for foreigners) and no extra camera charges whatsoever. Everything that is there to see is more of less concentrated in the expansive cave number 1. 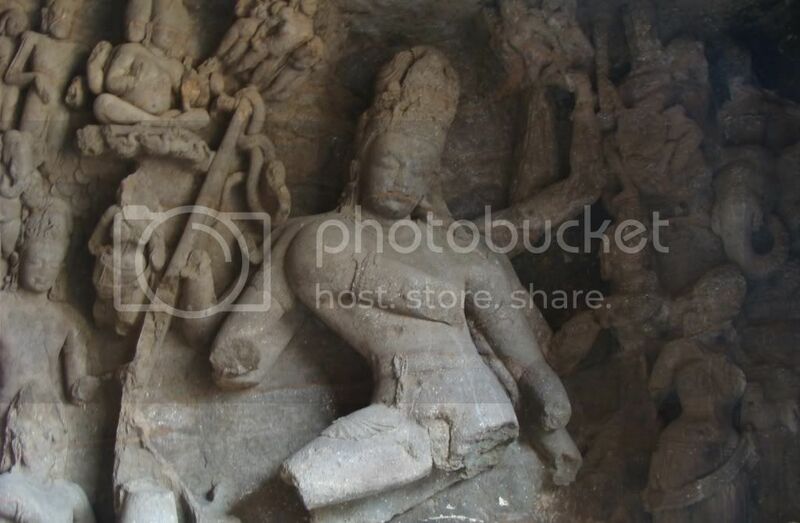 The huge cave is blessed with sculptured reliefs on a lot of walls, including the famous three faced Shiva which MTDC has adopted as its logo. The other caves number 2,3,4 and 5 are tiny and bare in comparison to cave number 1 because they were mostly residential chambers for the monks who lived there. The small ASI museum next to the ticket counter provides information about the people who built the caves and lived there. The lack of natural light falling on the main part of the temple makes photography a little tricky. So brush up the low-light photography manual for your camera – otherwise you’d end up with a lot of ghost-like photos. The caves themselves are in quite good condition – certainly a lot better than my last visit in 1996. There are no ugly graffiti to be seen, grounds are clean and there are ample sitting places. 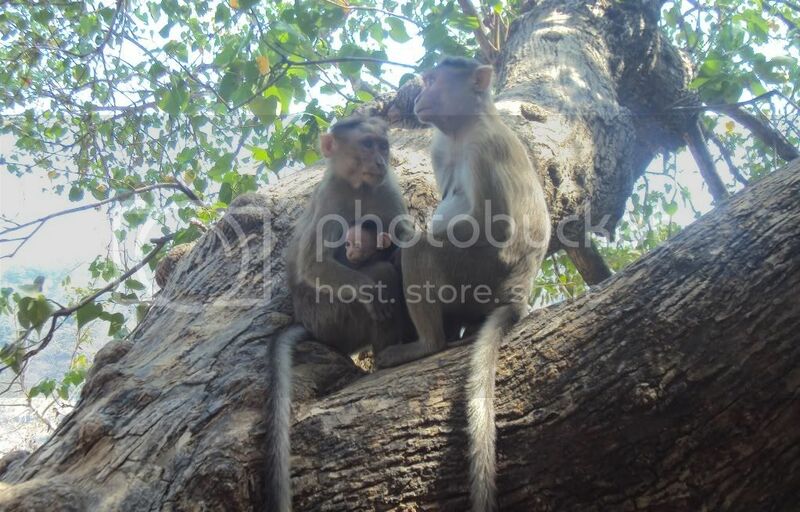 And if history doesn’t interest you, there are lot of monkeys monkeying around for your attention. And yes, they will make a grab for ANY food item they spot in your hands, so do not take our any food in the vicinity of the caves. The climb down is fairly easy, the toy train is waiting below and then the boats to take you home. All in all, a fun day-picnic to be undertaken in the temperate winter months. I doubt if it will be even half as much fun in the more humid, hotter months of the year. But if you are bored of the same mall/restaurant/multiplex cycle, take a saturday off and do something different. Very nice trip. 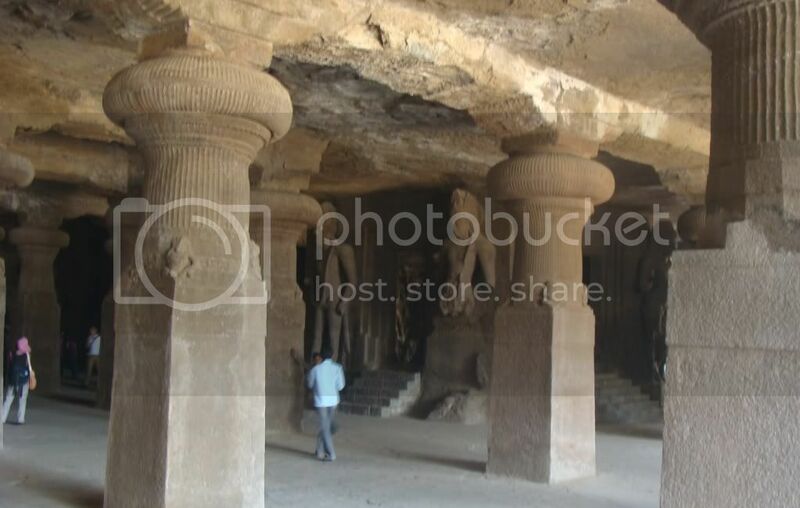 I would also love to visit Elephanta caves. I love history, exquisite and vibrant sculptures. Check out all details, timings, entry fee, best time to visit of Elephanta Caves. 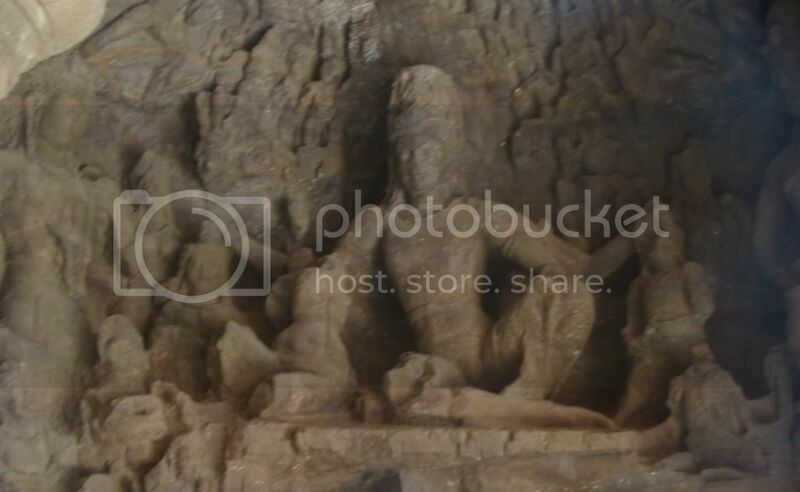 Elephanta Caves - UNESCO GLORY read this, it gives a lot of information about Elephanta caves.